In a letter of credit, whether an exporter can surrender bill of lading and arrange to send OBL surrender message to release container without insisting for Original bill of lading. Normally under LC terms, original bill of lading with other documents are submitted with negotiating bank by the beneficiary of letter of credit. The beneficiary bank arrange to send such documents to LC opening bank in tern, LC opening bank delivers documents to buyer once after acceptance of documents from bank. Here the question is, whether original bill of lading is required to be submitted in a letter of credit transactions. Let us discuss, how letter of credit works in an export import trade. Letter of credit is an assurance given by the buyer’s bank to remit the amount to the seller through seller’s bank on maturity, as per the terms and conditions of document based on the contractual agreement between buyer and seller. Now in simple words, if LC opened on your name, you will receive amount through the buyer’s bank on the agreed time. All Letter of Credits for export import trade is handled under the guidelines of Uniform Customs and Pracice of Documentary Credit of International Chamber of Commerce (UCP 600). As per the agreed terms between buyer and seller, the period of credit is decided. Based on the same, the time to effect payment by opening bank (buyer’s bank) is determined. Different tenure periods of LC given below. Once the shipment effected , the exporter prepares all required documents as per the terms and conditions of letter of credit. These documents will be submitted with exporter’s bank, along with the original LC. Bank verifies all documents and make sure, the documentation is in order as per LC conditions. The said documents will be sent to buyer’s bank and in turn to the buyer after necessary approval in documentation by seller’s bank. 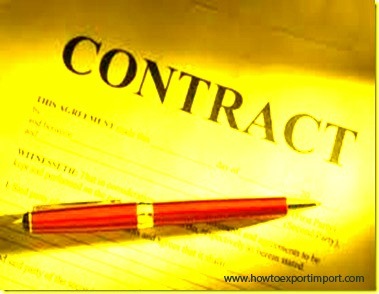 Once the buyer’s bank receives the documents, the export sales amount as per the said documents will be sent to exporter’s bank. This is the procedures under letter of credit at sight. Some time, the foreign buyer may demand credit period to pay the amount of sales. Say for 30 days, 60 days, 90 days, 120 days etc. However as per government regulation, the total period of credit should not exceed more than 180 days.Normally the credit period is calculated from the date of shipment – the date of bill of lading or airway bill. Now, let us come back to the question, ‘can original bill of lading be surrendered at port of loading’ under letter of credit terms. The terms and conditions on letter of credit is decided mutually by buyer and seller. As explained above, if seller agrees credit period under letter of credit, normally the buyer remits amount of goods to seller only after taking delivery of goods at destination port. In such cases seller may agree to surrender bill of lading in certain circumstances mutually agreed between buyer and seller. If buyer and seller in a contract of sale agrees to surrender bill of lading at load port, the said clause is added in the term and conditions of letter of credit. If such condition on surrender of bill of lading mentioned in a letter of credit, surrender of bill lading can be done at load port. Afsar Khan: On 19 February 2015 Would you please explain me why the banks generally refuse to accept charter party bill of lading as collateral for loans or for payment under letter of credit?? Jaydeep Donga: On 15 December 2015 Hello Dear sir, In case terms of payment is under L/C and Credit Period is 60 days in which after passing given credit period and our buyer not surrender payment. so in case must be required to take ECGC support ? What we will do if our buyer not give Payment up to 60 days and Payment condition is under L/C. Sofia: On 02 August 2016 Hi all, This website is really useful for both beginners & experienced people dealing with exports & imports. I have a question on surrender of B/L, where the transit time of shipment is 1 day. Hence the buyer needs the B/L original outside LC documents inorder to avoid demurrage at port during unloading of material. How can this be tackled? Vimal Jain: On 11 August 2016 I am Vimal Jain, Assuming I submit all my export shipment original docs on the last day of expiry of the L/c and later bank finds some discrepancy. Can I correct the discrepancy and can my bank treat the docs submitted within the validity of L/c or after submission of corrected documents, it will be treated as documents submitted after L/c expiry? what would be the case if I Re-submit corrected documents before expiry of the L/c? In both cases, can the docs as presented will be treated as clean negotiation? Under a C&F Contract, I make shipment meeting all the contractual terms and obtain Original Bills of Ladings and present to the BYR under L/c or DP terms. Due to unforeseen circumstances, the cargo is not shipped to the destination from trans-shipment port by shipping line to the destination for a long time and arrival of cargo gets delayed beyond a reasonable time. Can the Buyer refuses to make payment of the shipment on this ground that cargo not arrived destination in a reasonable time or shipping line divert the cargo to another destination due to non-availability of service to final destination from trans-shipment port? From load port the shipping line issues thru' bills of ladings. What are the option available to sellers & Buyers in those situation? khurram: On 05 November 2016 Dear Sir, we opened an lc which expiry is 14-11-2016. since the time came for the documents they asked the ammendmend and had done accordingly. we have asked since beginning please share the non negotiable documents but he did not yet.as prices are gone high $71 to $105. now ship is arrived on port and in that vessel has 3 parties goods. out of total 55000mt our share is 37000mt. shipping agent send us the NOR by mistakely, now they have changed our name into the mainefist and change the bill of lading. in this case could we go to the court and what would be strong reason to arrest this vessel. we have not received any non negotiable docs yet. please advise.